There is a growing trend in the health and fitness world. One of self-satisfaction and photoshoots at the gym. Are you on a health kick recently? 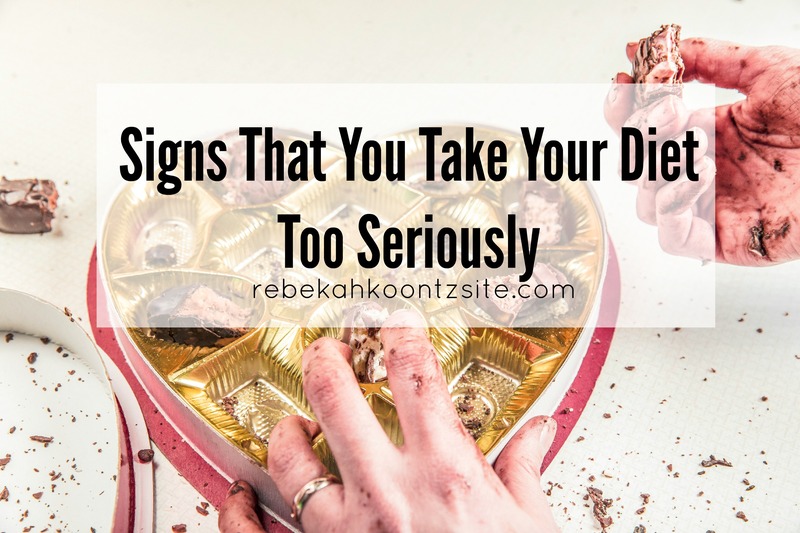 Do you take your diet and eating habits a little too seriously? You’re about to find out. These are the signs. When your waitress asks if you’d like dessert, you respond ‘no’ immediately. First. Do you have no manners? Were you raised in a barn? Upon any dessert offerings, there is a required 7-second pause for contemplation, before response is warranted. Cannibals know this. Little destitute kids in third world countries know this. It is common courtesy. It is table etiquette. Whoever is offering you dessert doesn’t have to offer you dessert. Understand this. You are not entitled to receive this dessert. This person is being kind to offer it to you. Ungrateful! If you’re saying no, you don’t deserve the dessert. . . In my opinion. Fact is: GIVE THE DESSERT IT’S EARNED RESPECT. Dessert is there for you over and over again, in your ups and in your downs. And what do you do to show your appreciation? Reject it?! No. You don’t deserve dessert! You think you’re too good for dessert? Dessert is too good for YOU. You post daily pictures of your green smoothie on Instagram. This is just annoying, in a borish kind of way. Green smoothies aren’t exactly you cliff diving off a 5,000 ft drop as you try to blow the worlds biggest bubble of chewing gum and catch your hamster, mid-air, before the vultures swoop in and get him. It’s just. . . a smoothie. If you capture slightly varied pictures of the same goopy drink every morning, you’re way too proud of yourself and thus take your diet way too seriously. And I’m bored. Show a chocolate shake on your feed every once and a while. You physically scoop the yolk out of your hard boiled egg. I had no idea people defiled eggs in such a way until I came across a picture on Pinterest. I flagged the Pin as inappropriate content. I was deeply offended. Dear Lord, forgive these people for they know not what they do. I mean, seriously, what an insult to chefs, to the water that boiled the egg, to the fire that cooked the egg, to the chicken who layed the egg (any idea how painful that is? ), to God who made the chicken who layed the egg, which you have defiled! I need a moment to catch my breath. Not to mention, THE YOLK IS THE BEST PART! I . . . I just can’t. It’s too much . . . Next point. . .
You peel the crust off your bread. Actually, that’s okay. Crust is yucky. You don’t ask for an extra salt packet at McDonalds. You must’ve forgotten you ordered fries. Ask for salt or be sad! You don’t sit up at night, crying over the fact that you can’t have a glazed donut, and you REALLY want a glazed donut. Crying is a natural symptom to denying your body’s instinctive desires. If you don’t cry over donuts, it makes me wonder if you have any feelings at all. Wow. Just thinking of someone who doesn’t cry about donuts made my heart die a little inside. You request that your frappuccino has no whipped cream. When I was a barista, customers would constantly boast about not getting whipped cream on their 1,500 calorie coffee drink. It got to the point where I wanted to gag myself. Seriously, walking into Burger King and inhaling will gain you as many calories as that whipped topping contains. You don’t fantasize about sleeping on a bed made entirely of sliced white sandwich bread. The uber fluffy kind that you sink your teeth into and are transported to Jesus’ feet. Who doesn’t fantasize about that? I’m just saying. Diets and eating healthy and taking care of yourself is great and all. But don’t take yourself too seriously. There is a balance to life, the universe, and fry-to-salt-granules. Next Post You May Be Broke If. . . Hilarious!! LOVED that babe! Well written. Funny. TRUE. Lol, thank you. I’m glad you liked it! Hilarious! It is no life If you don’t get whipped cream! The 7-second pause for contemplation is so real! You gotta make eye contact with everyone else at the table first and gage their response before you all reply together. One of the most cohesive decisions mankind will ever make. Also, I want fries now. Haha we need to go to a dessert place together and totally coordinate that group response! As President of this club, I AGREE!! So true to all of this! You can’t deprive yourself from EVERYTHING. You gotta live a little.